>Turkish frigate TCG Gelibolu, serving in NATO Maritime Standing Naval Task Group 2, encountered and neutralised 12 pirates on two separate different incidents, on 21 April 2010. 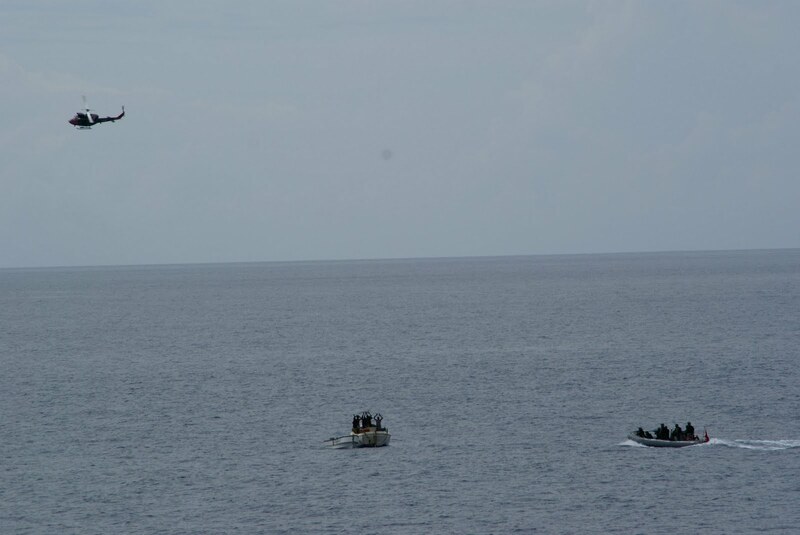 In first incident the frigate encountered two boats in suspicious activity, in the vicinity of Liberian-flagged M / V Safmarine Cunene. TCG Gelibolu forced the pirates stop their boats and the naval special forces boarded the boats and 8 sea bandits were disabled. 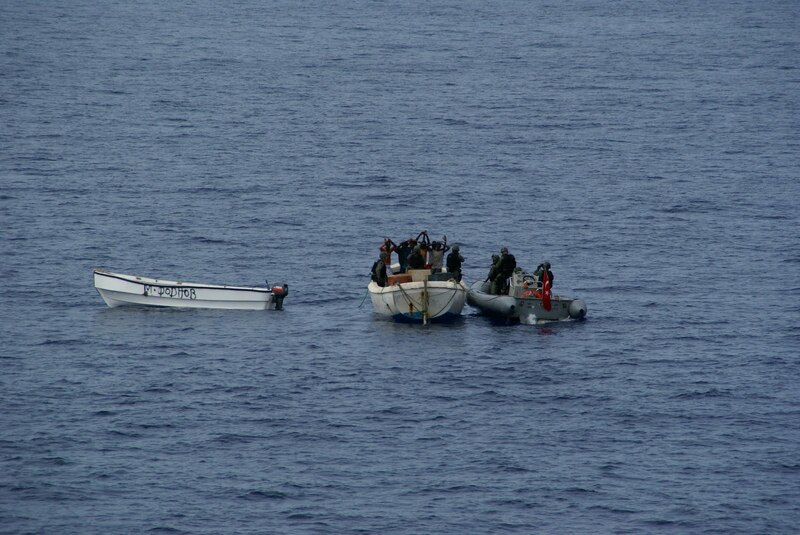 Equipment used in banditry and 5 knives found in the boats were seized. Shorty after the first incident TCG Gelibolu responded to a help request of Maltese-flagged M / V Ina that was under attack. The frigate rushed to the merchant ship and interfered the pirate attack. 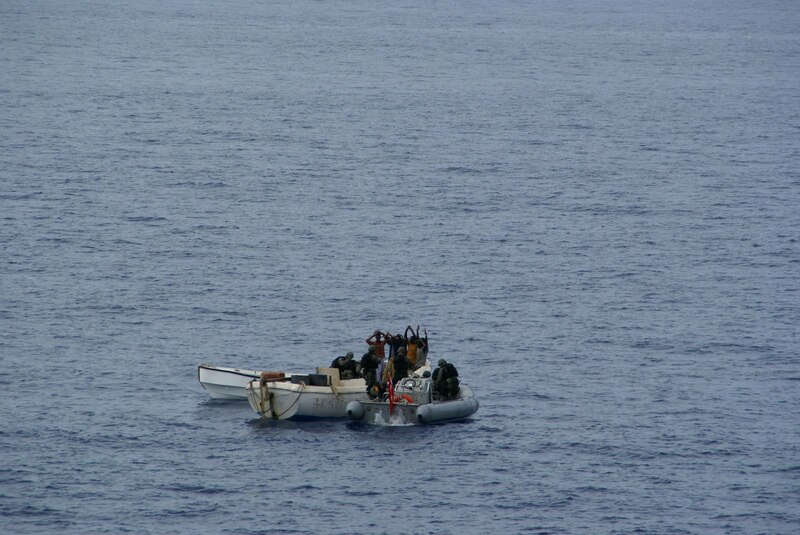 The pirate boat was boarded and 4 pirates and their materials were confiscated. 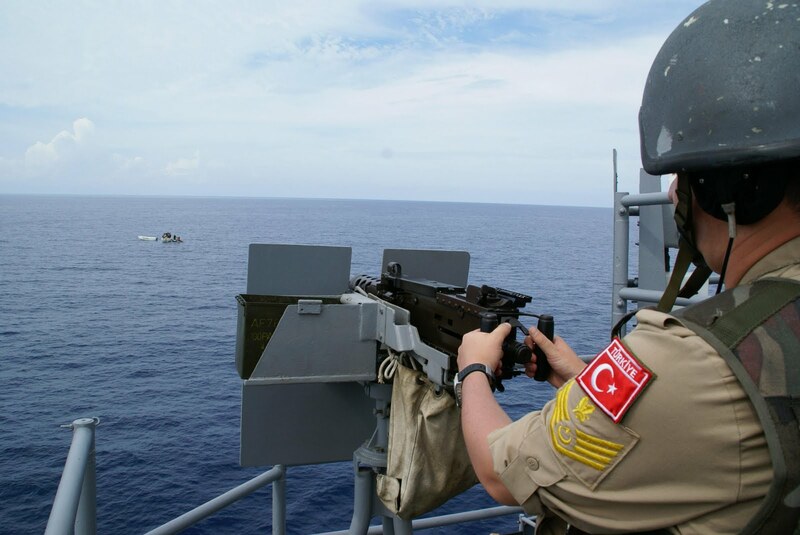 With the latest arrest, the number of arrested pirates by Turkish Navy rose to 78, 34 of those were arrested by TCG Gelibolu. The photos are from Turkish General Staff Webpage.